The star shower reviews is an honest post on all that you need to know about star shower. The star shower is an advanced type of light that is designed to be used as decorating light to light up the house during special occasions. The star shower contains laser tech that projects more than hundreds of moving star shape lights on houses for weddings and Christmas just to make the atmosphere different from the normal look. Are you tired of spending hours and hours hanging different lights? You have the perfect solution for star shower laser light. It is such the perfect way to light up your entire home in seconds and transform it from its normal appearance to a dazzling look. It is a tech device that projects great holographic stars on any surface, thereby covering up to 600 square feet. It’s such the best laser light show to illuminates the entire home. The light is very easy to use. It comes in a box, and on opening it, you will find a sticker, manual for users on how to install and use the device, caution instructions and then the star shower along with the stand. The previous version of the light comes in two different devices with the whole body made of metal. But the new version of the star shower which will be discussed below comes with a plastic body to make it lightweight and easy to use and carry from one place to another easily without hassles. The handle which can be stuck into the ground can be inserted to the main device before using it. The star shower laser light can discreetly be hidden among landscape and withstand any type of weather condition; its installation just takes seconds. 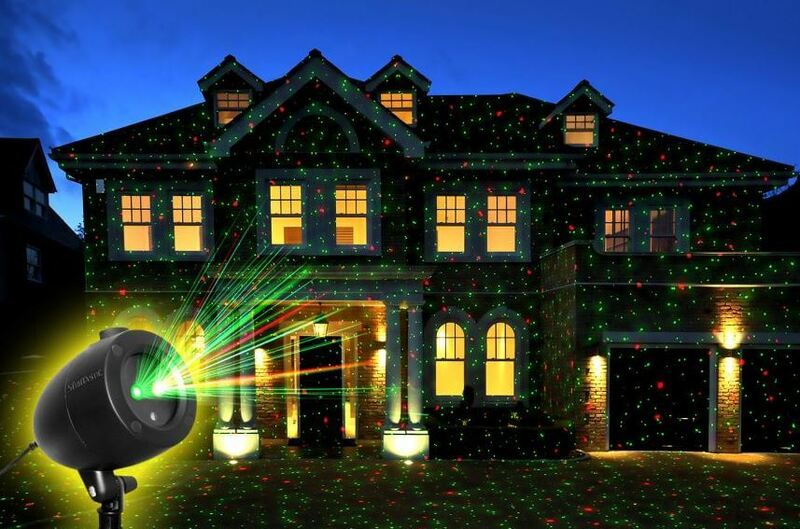 The laser light can project either green or red with, the strength to project over 100 yards away so that you have a more decorated home. 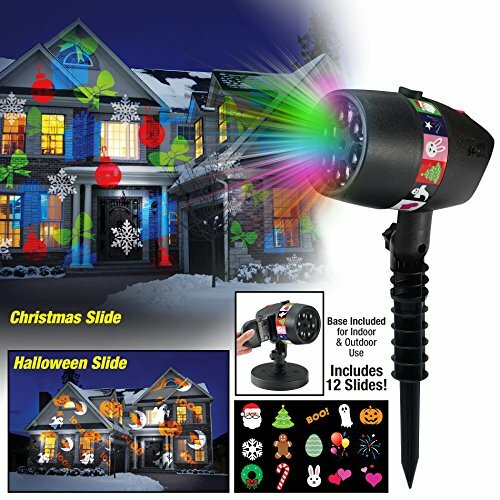 The star shower laser light is ideal for birthday parties, Halloween, and festive period like Christmas. You can as well make use of the device by bringing it to light your kid’s room to create a fantasy world which your kids would appreciate. How star shower laser light work? After it has been fixed and ready for use, you just point it to at the position where you want to get the dazzling look, then insert or stuck into the ground and let it projects uninterrupted 600sq foot light show of holographic 3D-effect sparkle. The star shower laser light works for both outdoors and indoor use. You will surely like the full effect of the stars. It can only be effective is used within 100 yards to the place you want to get the dazzling light. Once it is out of reach for your projector, it becomes less effective. This is the perfect light for any individual that is looking for a fun new way to decorate for holiday seasons. It will surely brighten your house and lift everyone’s mood. It is very safe to use for anyone, durable and easy to install without stress. You can instantly make thousands of stars start dancing with just a single click of a button, and for a still laser display, you just have to press the button again. The device gives the option to choose between a stunning all green light show or a breath-taking red and green combo display. It all depends on your preference. The good side of the device is that it automatically turns on at night and automatically goes off in daylight. It is weather-proof which means it can be used in any weather condition without worries. It is very easy and fast to set up. Fun new way to decorate for the Holiday Season. Q: Is star shower just like a Christmas light? Q: Do I have to off it after using it during the night? A: No, it works automatically, which means that you don’t have to touch as it turns off itself during the day. Q: is it very effective? The New 2017 Star Shower Slide Show is one among many others you can choose to consider in the market. This is also a star shower product, and it is the most beautiful way to brighten your home with different star color. You will have to discard your Christmas light the very moment you have this in your home because it is effortless to use and very effective. It has three speeds to project the light show. Toggle between fast, slow and static mode all by pressing a button. Just light up your home with the simplest and efficient device which will make you home more attractive to visitors and household members during any events or festive period. The package includes 12 slides: 6 Christmas slides, 2 Halloween slides, and four-holiday slides. It is weather resistant, and the housing is very safe to use with the beam that covers 3200 square feet. Note: Each package includes Star Shower Slide Show, 12 slides, lawn stake, and indoor base). The Star Shower Tree Dazzler LED Light Show by BulbHead is another star shower laser light you can consider for those in need of a multi-color design for their Christmas tree. 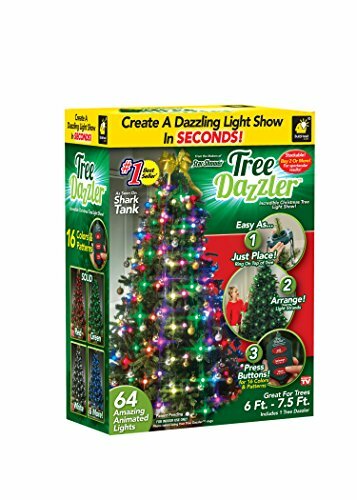 It creates a dazzling light show with the use of 31 different light patterns on your Christmas tree just in seconds. It comes with vertical bulb strand design that helps to prevent tangling, and it is very easy to arrange on the tree for anyone. It has 64 energy efficient LED bulb with three different show modes such as the show, shimmer and still. Are you tired of using the heavy light device to decorate your home? 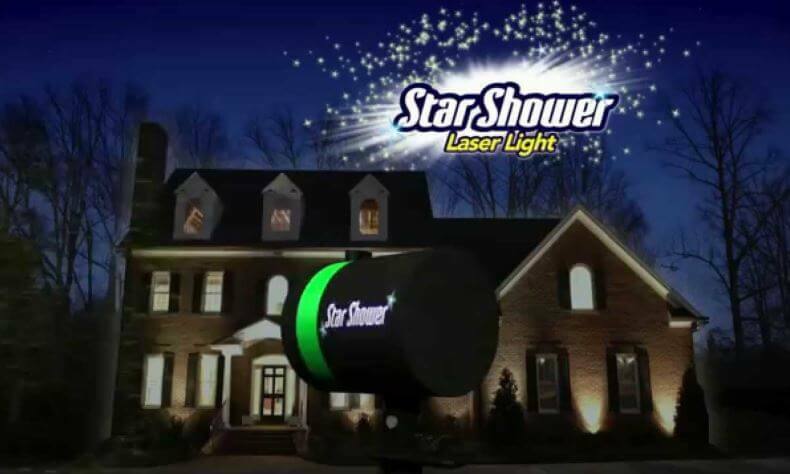 The star shower reviews are for you to discover the easiest and simplest means to give your home a better look without hassles. Here you will find how star shower laser light work and our different choice on the type of products you can choose in the market.